When the Supreme Court hears arguments in Jennings v. Rodriguez, the Justices will tackle a question eight of them considered in 2016: whether the Constitution allows the government to detain noncitizens for more than six months without ever giving them an opportunity for a bond hearing. Although the case was first argued in December 2016, last June the Supreme Court ordered reargument, allowing Justice Gorsuch to take part in deliberations. When seeking to deport certain categories of noncitizens, the government often detains those individuals while pursuing removal proceedings in immigration court. Under a system known as “mandatory detention,” if individuals were convicted of certain crimes, or arrived at the U.S. border and asked for asylum, they can be detained throughout the entire immigration court process and cannot ask a judge to release them on bond. Such individuals may be detained for years even if all sides agree that they do not present a flight risk or a danger to the community—the only two valid purposes for civil detention recognized in the immigration context. Challengers to this system do not insist that they must be released after six months, only that the government cannot detain them for prolonged periods without giving them a hearing before a neutral decision maker authorized to determine whether continued detention is justified. In a 2003 decision, the Supreme Court upheld mandatory detention in a case called Demore v. Kim, finding that a brief period of detention without bond while the government pursued removal proceedings was constitutional. However, the deciding vote in Demore, Justice Kennedy, expressed skepticism that mandatory detention without bond would be constitutional if it became prolonged. When Jennings was originally argued in December 2016, the Justices were confronted with the scenario envisioned by Justice Kennedy: prolonged mandatory detention. In the decade since Demore was decided, rising backlogs in the immigration courts and increased immigration enforcement have brought the system to a crawl, leaving thousands of immigrants detained for years at a time while they fought to stay in the country. When Jennings reached the Supreme Court, the Justices were only asked to rule on whether prolonged mandatory detention without bond violated the Immigration and Nationality Act—not on whether it violated the Constitution. 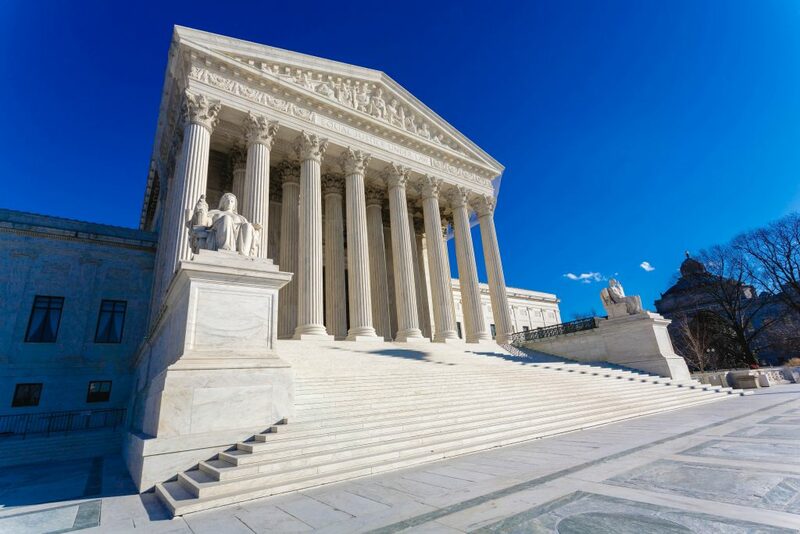 However, during oral arguments, the majority of the Justices expressed skepticism that mandatory detention without bond would violate the statute, but some of them raised questions about its constitutional implications. In February, the Justices ordered both sides to submit additional legal arguments on whether the Constitution allows prolonged mandatory detention without bond. Throughout the case, the government has consistently maintained that Congress has provided detained noncitizens with sufficient due process by permitting them to hire attorneys at their own expense, request continuances, present evidence, and appeal their cases. However, fewer than half of all noncitizens who appear in immigration court are represented, and the representation rate among detained noncitizens is substantially lower—around 20 percent—due to the remote locations of many immigration detention facilities, limited access to interpreters, and the difficulty of communicating with this population between visits. Without counsel, most detained immigrants are much less likely to apply for or be granted relief, making deportation much more likely. Whatever the outcome of this case, it will have critical consequences for the fairness of our immigration system. A decision is expected sometime next year.